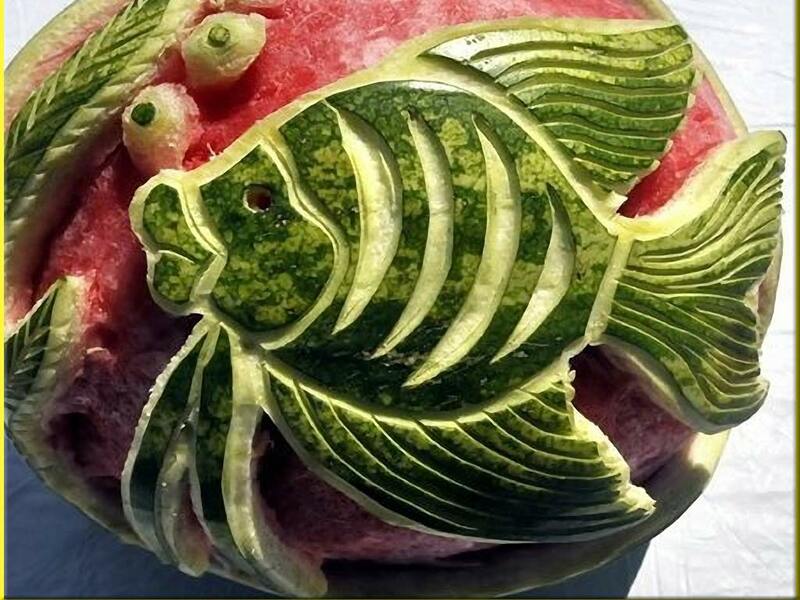 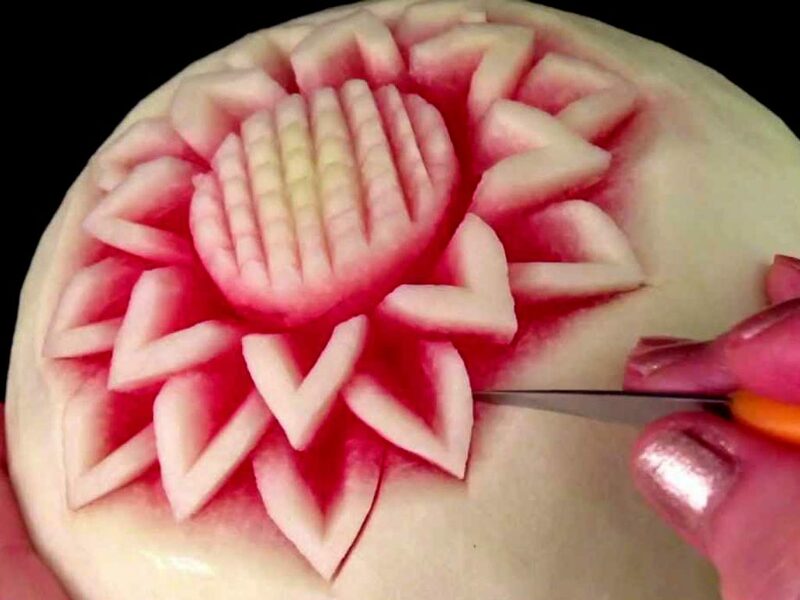 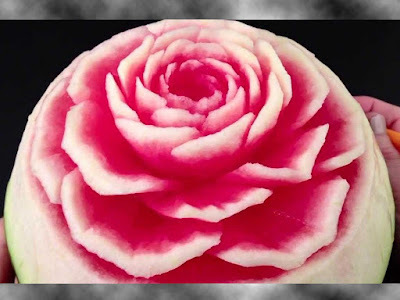 After you see an amazing apples fruit arts carving on yesterday articles, today I want to share a few wonderful watermelon fruit carving arts. 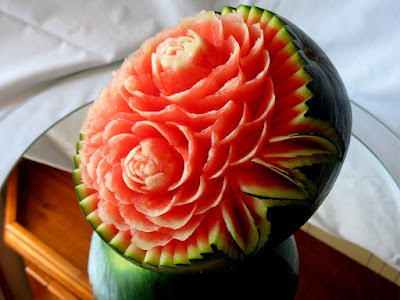 Watermelon has a tough skin, solid green or light green with dark green lines. 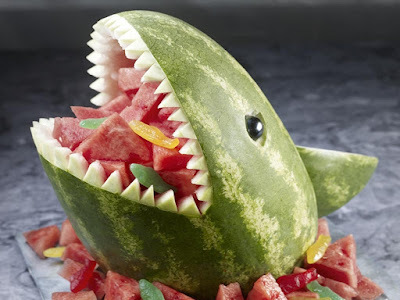 Depending on its cultivars, juicy flesh that is red or yellow. 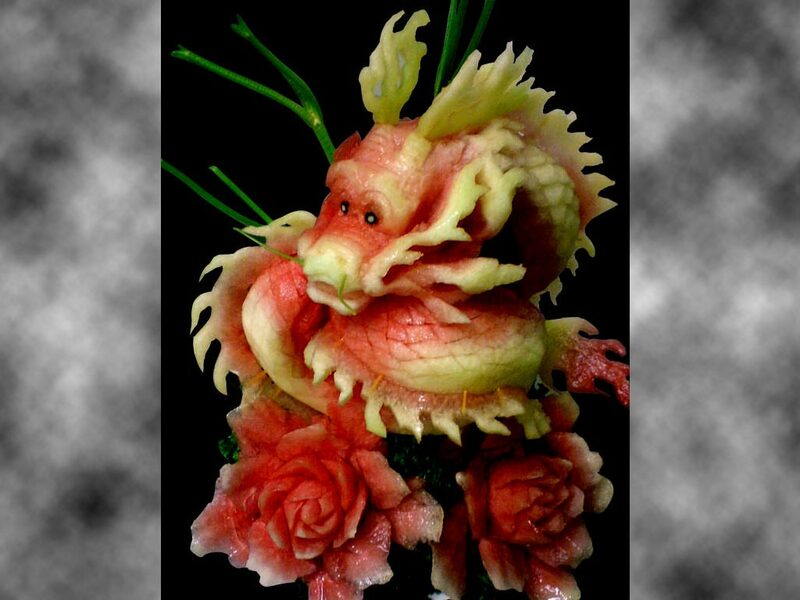 Because the outer skin is thick and hard here so it makes a lot of artists cuisine and chef also did not hesitate and many use this fruit as a carving object. 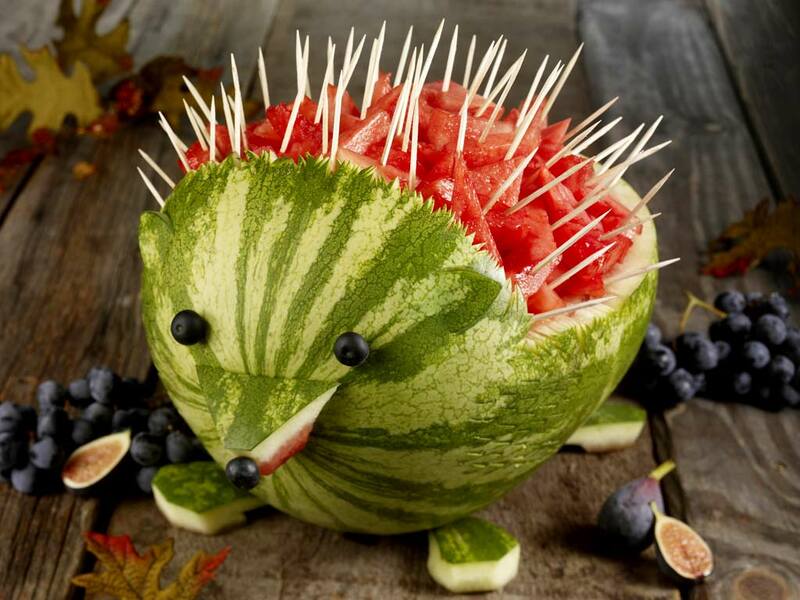 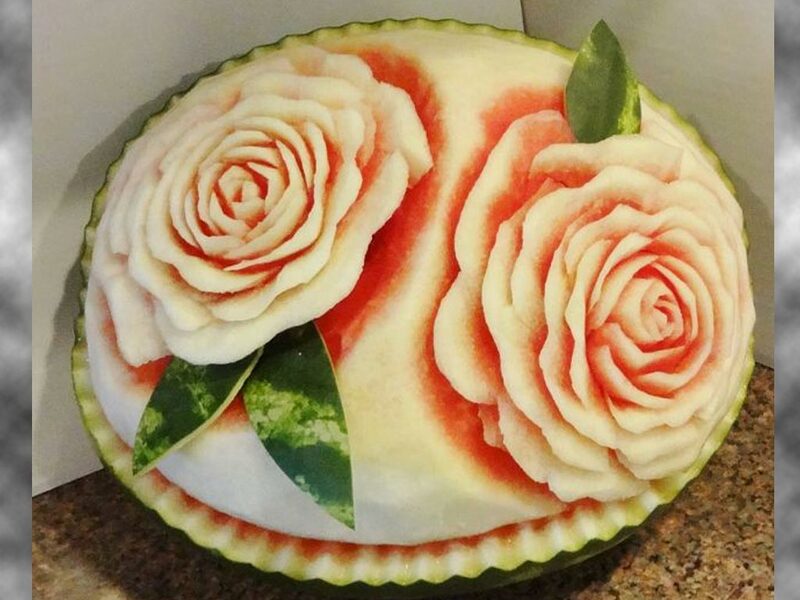 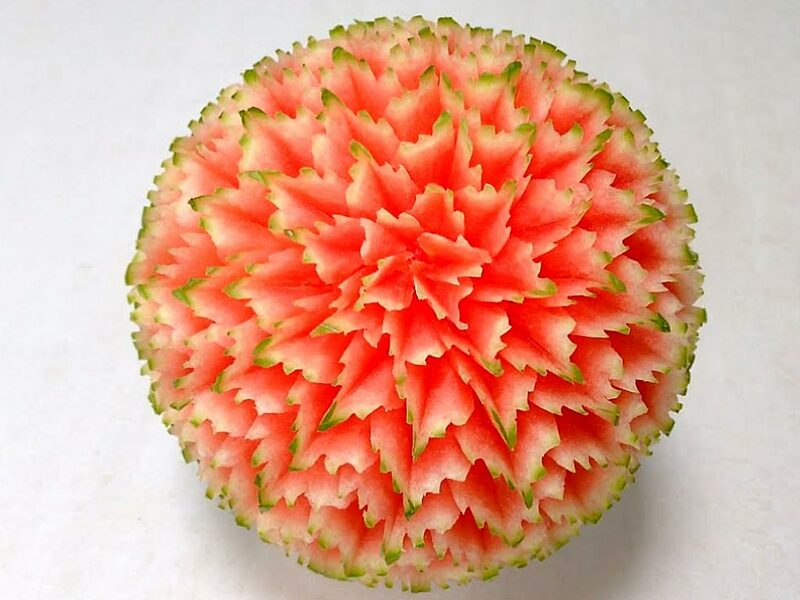 They can use watermelon to pour their artistic talent and creativity that you can see in the following amazing pictures of watermelon fruit carving. 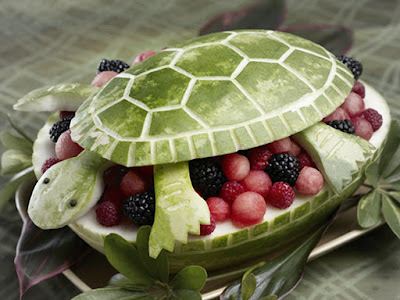 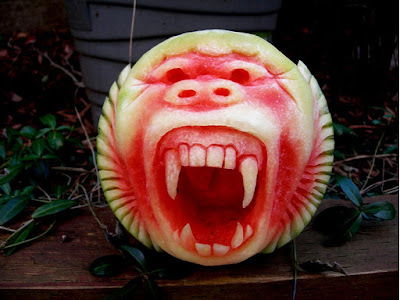 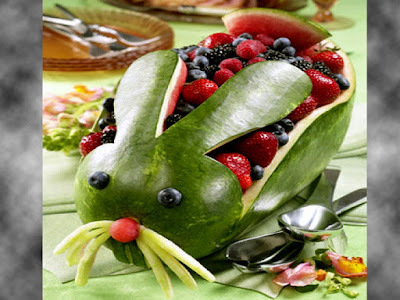 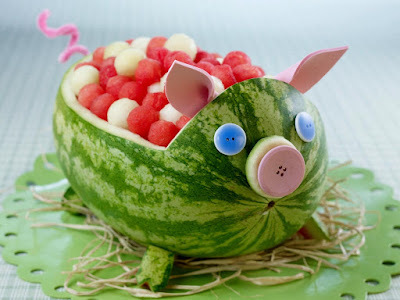 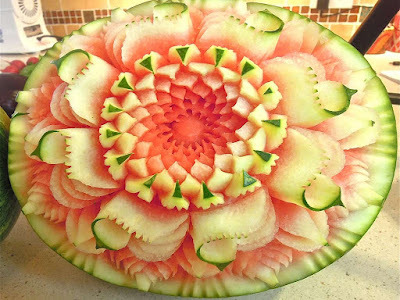 That is 14 wonderful watermelon fruit carving arts that I can show you, hope you like it and can share to your friends.